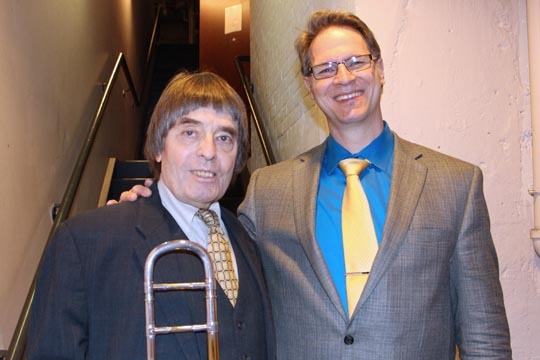 The smooth sounds of legendary jazz trombonist Bill Watrous filled the Roper Performing Arts Center on Dec. 3. As a guest performer, Watrous shared the stage with local jazz group Swirl. He entertained an appreciative crowd with his melodic tunes and short stories from life in the Navy and on the road as a musician. Watrous began playing the trombone at age 4, when he picked up his father’s instrument and started his 70-plus-year journey as a musician. Prior to Watrous’ performance, TCC’s Blue Moon jazz ensemble and the Trombone Jazztet performed a variety of selections, accompanied by vocalists Donna Gray and Sesil Jenkins.